Report: North Korea Jamming GPS Devices - Trying to Throw Pilots Off Course! 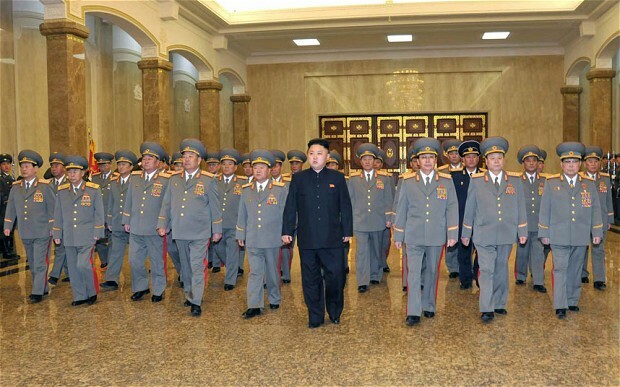 Report: North Korea Jamming GPS Devices – Trying to Throw Pilots Off Course! It was reported earlier this week that North Korea has been jamming GPS signals near its border. This is a much more serious issue than is being reported! North Korea is jamming GPS devices in South Korea, affecting hundreds of passenger jets, commuters, Uber drivers and commercial fishing boats while raising alarm bells in the Pentagon, multiple defense officials confirmed to Fox News Wednesday. As reported by FOX, this is in retaliation to the military drills being performed near its border by the US and South Korea. Popular Mechanics reported this week that North Korea is jamming signals and the disruptions that affect the Global Positioning System (GPS) are affecting air and naval traffic near the demilitarized zone that separates North and South Korea. Popular Mechanics also notes that the Incheon International Airport—which serves the greater Seoul metropolitan area— is affected and it serviced nearly 50 million passengers in 2015, making it one of the busiest airports in the world. South Korean officials stress that the attacks haven’t led to any serious GPS disruptions, as aircraft can also use the older Inertial Navigation System (INS). INS doesn’t rely on outside signals and is jam-proof. However, North Korea’s GPS jamming goes much further than is being reported and it is much more dangerous as well. Per a Captain from a large commercial airline (who chooses to remain anonymous), authorities are not sure if the North Koreans are only jamming the signal or are also ‘dragging it off’ which would cause a ‘map shift’ that would cause the GPS system to show a location different than actual. If this were to occur while an airliner was using GPS, the airliner could land up to 3 miles off target or incur dangerous situations with high ground. Pilots flying anywhere near Korea, including Japan, are warned of this situation. When GPS goes out, the pilots are forced to use older systems that are not as accurate. This is happening at the worst possible time – at the critical moment just before landing. This is not only a ‘nuisance problem’ but also has serious ‘flight safety implications’. Commercial pilots in the area are now being warned of these implications.